If you’re reading this blogpost, you might already be familiar with Spain and have travelled here extensively – but you may not know its most romantic destinations. We’ve already pulled together great ideas for Romantic Breaks in Spain and Tips on Places to Pop the Question and today, we will go into even more detail on how to plan a great honeymoon in Spain! 1 Where is Best for You in Spain? Spain is a big country with very huge differences from region to region. Barcelona for example is completely different to Madrid and bears no resemblance whatsoever to Seville. (See our guide to Spain’s best cities to get an overview of the major destinations.) When we put together itineraries, we always ask our clients about their likes and dislikes by asking a few questions. If you are trying to researching this trip yourself, why not run through the questions yourself – it’ll might help you clarify what’s important for you as a couple on this special trip. Our couples usually fly into Barcelona, Madrid or Seville and are collected by a private driver who shuttles them straight to their hotel. It might seem like a luxury you don’t need but believe us – it really sets the tone for a great honeymoon and not having to lug those cases around an arrivals hall and work out the taxis or metro will go down really well after your flight! As with any holiday, a significant proportion of the honeymoon budget goes on accommodation. It’s not just the hotel star rating and the location of the hotel that matters – it’s the actual room within the hotel and the extras that really set the mood of the honeymoon. If you are booking your own hotel, you can achieve great savings by booking well in advance and by travelling off peak. Off-peak travel is just one of our Savvy Savings Tips in Spain that you might want to check out. We also encourage you to read our guide on Getting the Best Hotel Room in Spain and Top Hotel Bugbears in Spain and Best Hotels with Views. And remember to communicate any requirements you need when you book your hotel/s. Pro-tip: Travelling in late Spring or early Autumn gives you plenty of room for manoeuvre when negotiating with the luxury resorts or boutique hotels. But even if you are taking your honeymoon during July & August, you can still find great value for money – it’s all about knowing where to book and who to talk to. Cities such as Seville, Granada and Madrid are actually very quiet in the Summer holidays so although the temperatures outside are hot, if you find the right hotel with a great rooftop swimming pool or cooling courtyards or gardens, you’ll have the honeymoon holiday of a lifetime. What happens on the first day or two of your honeymoon really depends on how much time you need to unwind. If you’ve flown directly from your wedding, you probably need 2-3 days to relax and take a breather before exploring. If you’ve already taken a few days off before flying or have left longer between the two events, you might be ready to start having fun and exploring Spain straight away! The travel industry likes us all to imagine two castaways on a deserted island when we think of the word ‘honeymoon’ but we find that what couples actually want to do bears little resemblance to the photos we come across in holiday brochures. Most of our couples want to get to know Spain – its cuisine, its music, its art and its history. And where they’ll have lunch and dinner plays a big part too. They may start the honeymoon on the coast but after a few days they might move on to say, Barcelona for a tapas tour and to spend some time getting to grips with Gaudi – who’s architecture is spell-bindingly beautiful. It could also include a few days touring the Riojan wineries, or a break in Madrid to visit the amazing museums and soak up the Madrileño atmosphere in the tapas bars there. 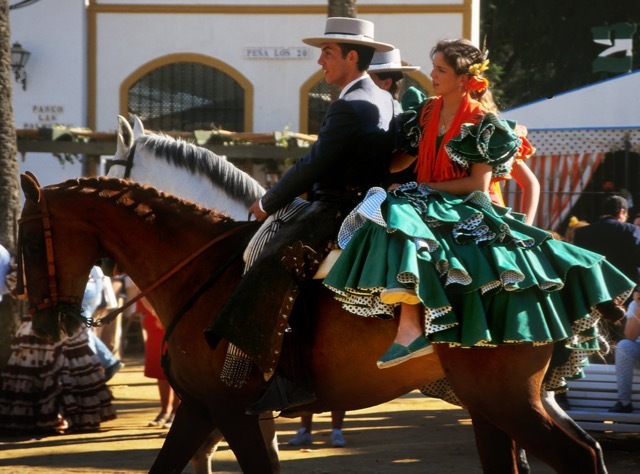 Or perhaps a trip south to sunny Seville to smell the oranges & jasmine in the air, experience authentic fiery flamenco and take a romantic horse drawn carriage through the lush gardens of the Maria Luisa park. Read up on Our Really Creative Itineraries to get an idea of the territory you can cover in Spain. You probably received lots of amazing help from friends and family and possibly even a wedding planner – for planning your nuptials – but it’s a bit trickier asking friends to help with the honeymoon tips – unless they’ve actually spent a lot of time here in Spain. That’s where we can help. We love hooking up our honeymoon couples with private drivers and specialist guides. That might be a private sightseeing tour on your second or third day. Although you may not be used to hiring a guide and you may even think of it as quite an old-fashioned thing to do, we guarantee you that these specialist guides are the next best thing to having a family member in town – and their only interest is making sure you have the best time possible here. Not only do they show you around and make you feel like VIPS, they can ask give you great tips and personal recommendations on where to wine and dine, do some shopping & offer more cultural tips that will really make your visit unique. Read our post about private drivers and guides here. Although the word ‘experience’ is being overused by the travel industry, we do love suggesting unique activities that can be remembered at future anniversaries. It might be adventurous such as a hot air balloon trip, or it could be something that’s hard to organise yourself – such as a dance class. It could be something that’s great fun but you might never think of doing – such as a private Spanish cooking class or a private winery tour. We’d love to find the perfect activity that you’ll think of whenever you remember your anniversary. It’s true that some activities are easy to find online – but for the more unusual or off-the-beaten-track interests, it really pays to go through a travel specialist such as ourselves which knows the people and the places personally. The last thing you want is a disappointment on this trip! 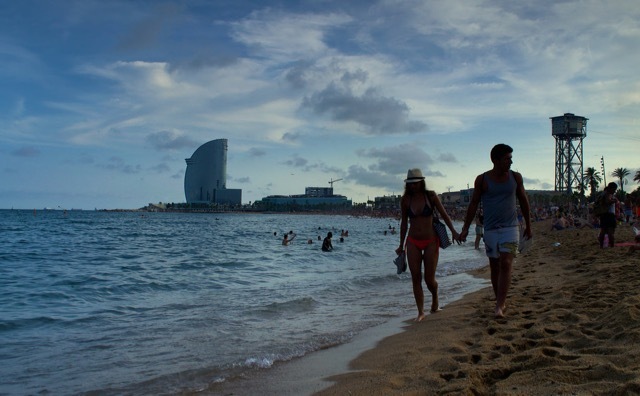 We wrote about honeymoon destinations before (see here) and always highlight Barcelona, Madrid and Seville as the must-sees. After that it really depends on what you’d like as a couple. If both of you are foodies we would suggest San Sebastian which is a favourite for marriage proposals. If you are more into a self-driving holiday – we’d send you to the Rioja Alavesa vineyards or the Ribera del Duero. Many wineries have opened really spectacular hotels that are perfect for honeymooners! If you are more into adventure or an off-the-beaten-path type break – we’d suggest a Camino-themed self-drive trip or a week in Extremadura. For more ideas, check out our Insider Guides and Popular Posts. We love Candy Bigwood’s Pinterest board on her honeymoon in Spain. Candy is Mobile Art Director at The Huffington Post in NYC and when she booked through us, she used Pinterest to put together a “must-see” list for us. If you’re still trying to get a sense of what’s available out there, click on Candy’s board or search for “honeymoons Spain” in Pinterest! And have a look at Michael & Niamh’s Parador Honeymoon in Galicia in NW Spain. If you’d like to see some well-edited honeymoons videos – check out these ones we liked in Madrid, San Sebastian, Barcelona and Andalusia! It’s difficult to know how much you should budget for a honeymoon especially when you’ve probably committed a chunk of the overall wedding budget before researching the honeymoon. As travel planners, we obviously feel that the honeymoon is a very important element of the wedding package, but we are aware that budgets vary hugely from couple to couple. If you’re not sure what you should be spending on your honeymoon, we can help by saying there isn’t a “typical” spend for a honeymoon. 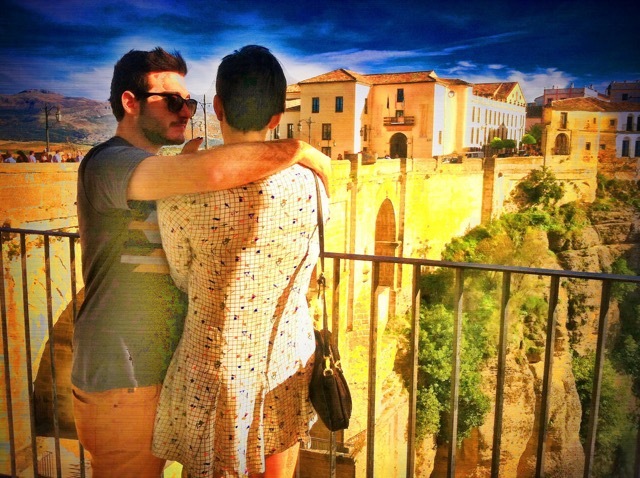 We really enjoyed the thought process in this post where budget-traveller Jeremy outlines why he spent $5k for a two-week luxury honeymoon in Spain. (If that seems a bit pricey, we searched online and read that Brides Magazine in the UK suggests an average spend of £4,500 in British pounds for 2016 and US-based WeddingWire reports the average honeymoon spend in 2015 was almost $4,000). Of course much of your budget is linked to the distance you are travelling to get to Spain – you should check out Skyscanner if you haven’t already established your best route into Spain. 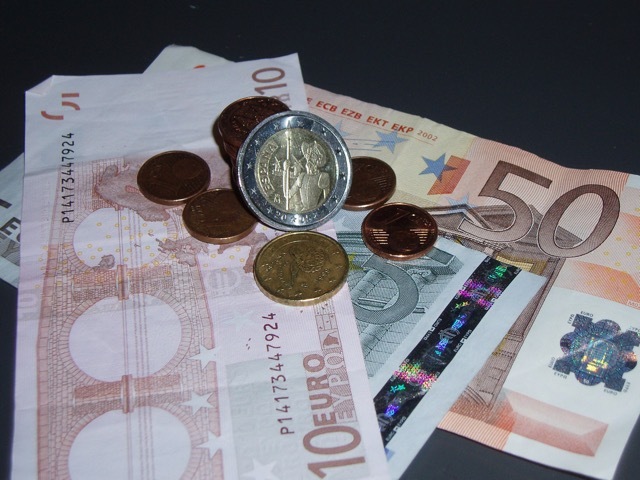 Once you know your travel costs into Spain, you’ll need to know what to budget for the trip. If you’d like a sample pricing for one of our packages, check out our 5-star 9-night honeymoon to Barcelona, Madrid and Marbella. Remember that this price excludes your flights – but it includes the time we spend phoning hotels to get the best rooms, ordering the car hire and any other transport connections, pre-booking tickets to the top attractions, and preparing documentation for your travel pack so you don’t have to think about the trip once you arrive here! That’s something you’ll value when you sail pass the long queues at the Sagrada Familia in Gaudi’s Barcelona or hop aboard the high-speed train from Madrid to Seville. Why Book Your Honeymoon in Spain with us? For starters, we live here. We travel here. We even married and honeymooned here! And ever since the year 2000, we have been planning custom itineraries for individuals, families and groups. Our service is very personal and we take every trip we organize very personally to ensure its success. We promise you value for money and a service that our clients often tell us is second to none. Posted in Honeymoons, Insider Spain Guides, Popular Posts, Useful Information and tagged carriage, cooking class, engagement, entertainment, flamenco, food tour, guides, honeymoon, honeymoon budget, hot-air balloon, hotel star rating, hotels, how to book, Michelin-stars, package, planning, proposal, romance, romantic, savings, Spain, tapas tour, tours, wedding, wine-tastings.